First of all, huge thanks to all my readers thus far. It's hard to believe I've written a whole 32 articles already. That said, there's not a whole lot left I feel able to write about as far as general cultural differences go. that's what I'm going to focus on from here on out! I might come back to some more general topics every now and then, though. The title already gave it away, but first up is one of my favorites from when I was a kid: The Goonies 2. Let's take a detailed look at the differences between the Famicon and NES versions! Before anything else, I should explain a little background about The Goonies in general. If you don't know, The Goonies was a 1985 family adventure movie from Richard Donner and Steven Spielberg. It did fairly well in the US, and was released in Japan as well. In 1986, a video game adaptation (also called "The Goonies") was released by Konami in Japan for the MSX and later the Famicon. However, despite being an adaptation of a Hollywood movie, the game only made it to the west in arcade form and was relatively obscure. アメリカのアーケード版「グーニーズ」 / The arcade version of The Goonies. 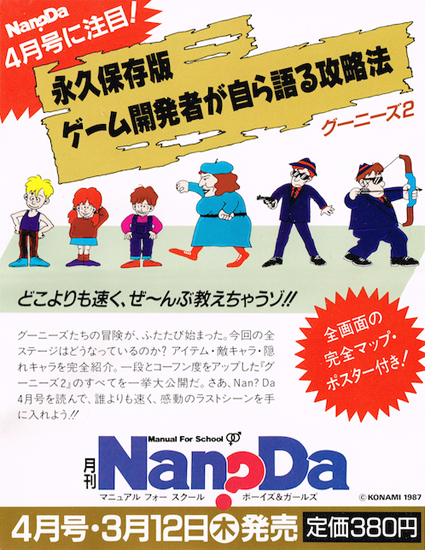 Two years later, in 1987, without even talk of a sequel to the film, Konami released グーニーズ2 フラッテリー最後の挑戦 ("The Goonies 2: The Fratellis' Final Challenge") in Japan. This time around the game did get a home release in America (as simply "The Goonies 2"), and the title caused a fair bit of confusion. With no sequel to the movie in sight, and the original game virtually unknown, it left a lot of people wondering what all this "2" business was about. I myself as a kid had no idea about the first Goonies game, and the idea of one existing was more like a myth to me, haha. The Goonies 2 is definitely more of a sequel to the original Goonies game than it is one to the movie. The first game does loosely follow the plot of the film, opening in an abandoned house and then descending into a system of caves. The Goonies 2 starts out with that same pattern, but later on there's a huge ruined bridge and even the inside of a volcano - definitely not things you'd see in the movie. The player's weapons being things like a yo-yo and various explosives are also carried forward from the first game, and don't have any basis in the film. Enemy-wise, aside from the Fratellis of course being from the movie, everything else is newly created for the game. This all added up to more confusion for America gamers who went from the movie straight into The Goonies 2! But hang on a second, stuff like enemies and items are the same in the US and Japan versions of the game! We're here to talk about the parts that underwent localization - mainly the story and dialogue. You probably already noticed, but in the English version the game's subtitle is removed. I can't really think of a good reason why, other than just to make the title more simplified maybe? 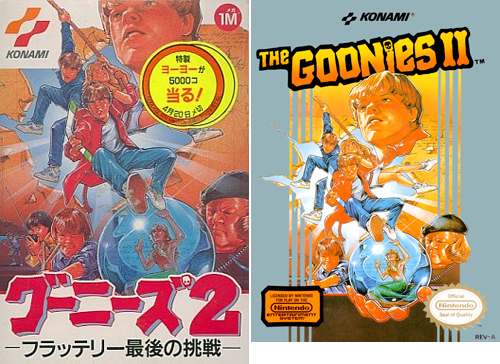 Another thing that caught my eye is that the box art of the Japanese version has a katakana version of the "The Goonies" logo, but here they just use the original one. 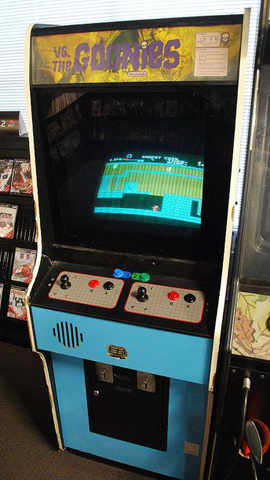 Most NES-era games didn't have the deepest of stories, and The Goonies 2 is no exception. Here's the opening of the game. ハッ、ハッ、ハッ、・・・」 Ma Fratelli「Hey you Goonies! we've taken Annie as hostage. On the whole the English matches the Japanese pretty well, but there are a few discrepancies. The Japanese has Ma Fratelli speaking very sarcastically - "Great job landing us in jail! As thanks for that, we've kidnapped your friend Annie!" - whereas in English it's more straightforward. She also tells the Goonies to come to the hideout "one at a time", which is dropped in the English text, and her menacing chuckle at the very end is cut as well. This is probably the most common NPC to meet in the game, he shows up every time there's an area change. He uses extremely polite Japanese, as could be expected of an old wise man. The use of "Welcome here" in English isn't exactly grammatically incorrect, but it's so old-fashioned it might as well be. It basically seems like they went a bit overboard in trying to translate the polite Japanese, and it doesn't come across quite as well as it could. And here is probably the game's most (in)famous "Engrish" moment! The tense of the original Japanese is a little ambiguous, it can mean "What do/will you do? ", but in this case clearly means "What are you doing?". Mistranslations like that were rampant in those days, though - Zero Wing for example got a little famous for it. Most of the translations in The Goonies 2 are actually pretty well done grammar-wise, but hitting NPCs is rather irresistible so this line tends to show up much more often. Here's an example of a translation being too direct and ending up sounding strange. but the translation misses that and makes it seem like the NPC is asking the player (who just whacked them with a hammer) for help. For most players the hammer-hit is the natural follow-up to the fist-hit, and from these two alone the game already has a bit of a bad-English-vibe going for it. Similar to the opening story, Konamiman's sarcastic tone in Japanese is dropped in the English version. He also sounds a little robotic - "won't" would sound a little better than "don't", and a comma after "energy" wouldn't hurt. The text in the Famicon version is a reference to this gag from a popular Japanese comedian. 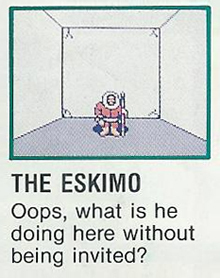 Obviously the gag as-is wouldn't make any sense in English, so they just have him say "There's nothing here." Personally, I feel like changing it to some kind of famous American joke would've been better/less confusing than cutting it entirely. A more accurate translation would be something like "Us old folk would be lost without our glasses. You should get some yourself Mikey, they're quite useful!" In the Japanese, it's clear that the old lady is talking about elderly people in general rather than herself specifically, and that the situation is hypothetical. Combined with the loss of the "they're useful" bit, the English version makes it sound like you're supposed to give the glasses TO this NPC; you can't, though, leaving a lot of players confused. The "magic locator device" name is a weird choice, but we'll get to that later. The English also omits the bit about how you can check it "on the map screen", making it a rather useless hint. ヤメルナラ セレクトヲオセ」 Ma Fratelli「You'd better quit. This screen changed a lot in the localization. which makes sense as an insult, but is definitely a bit dicey to put in an American game, so the line was dropped. In general, the English version has Ma Fratelli being more terse, whereas in the Japanese she's a bit more verbose - "Wanna try my challenge again?!" At last I can go back to the sea. in the town of Goon Docks. Annie's lines are mostly the same, though in Japanese her thank yous aren't worded exactly the same as each other like they are in English. (one is in borrowed English, the other in Japanese). Another small difference is that in Japanese she specifies that they "beat the Fratellis' challenge" - continuing the pattern of the American version dropping all references to the "written challenge" from Ma Fratelli. When I was reading the Japanese version of the reporter's lines, I spent a long time trying to figure out what 「キュウシツ」 meant. Turns out, it's supposed to be 「救出」(rescue), which would be 「キュウシュツ」in katakana. It could be a typo, but my best guess is that it simply wouldn't fit on the line so they removed one of the less-important characters. I'm curious how often that happened in games back then, and if the meaning would be more immediately obvious to a native Japanese speaker. Another interesting thing in the Japanese version here is that the reporter calls the Fratellis the "Fratelli Gang" rather than the "Fratelli Family" like they're referred to everywhere else in the game; this distinction is lost in the English version. There's also the odd situation of "The town of Goon Docks" - "Goon Docks" was just a nickname for their neighborhood in the movie, certainly not something a TV reporter would say. The Japanese version actually has a few more lines after the "peace has returned" bit. It might just be another case of running out of text space, but the Japanese has the reporter echoing Annie with a "Hooray for Mikey and the Goonies! ", followed by "This has been Konami Mantarou, singing off." "Konamiman Tarou" is the full name of Konamiman (who shows up throughout the game and in other Konami titles), but the rearrangement of the name is definitely intentional and likely a reference to a real person, though I have no idea who it might be. Another thing that caught my eye is the fact that the final scene takes place in-game on a TV. I figured it was just because it's a TV report, but then I noticed the scenes of Ma Fratelli are shown on a TV as well. Perhaps the game is actually supposed to be presented as a movie you're watching on TV or something? 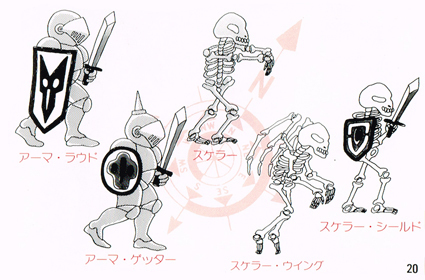 With NES-era games, a lot of the time there's more information in the manual than there is in the game itself. Many games required you to read the manual to get the story or find out what items do. 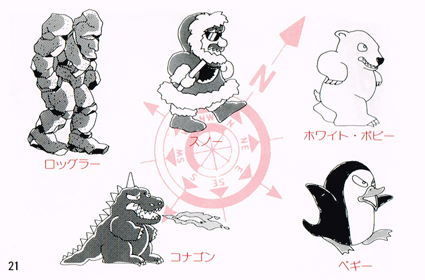 So, how do the English and Japanese manuals for The Goonies 2 differ? The basic gist of the story is the same, but the particulars change quite a bit. In the Japanese story, the Fratellis capture Annie and then send the Goonies a challenge to rescue her, telling them to come one at a time (leading to all the other Goonies getting captured). The English story simply has them kidnapping everyone other than Mikey at once. In general, the Japanese story is presented a bit more as a fun adventure, while the English makes it out as more of a dangerous rescue mission. 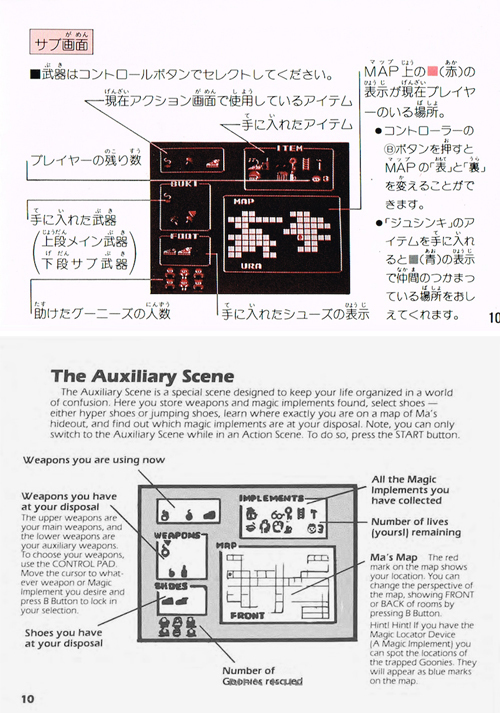 The English "How To Play" section, on the other hand, is a pretty excellent translation of the Japanese! I just wanted to point out one thing here - the screen name. "Sub-screen", the Japanese name, is pretty straightforward, but instead of calling it the "Sub scene" in English, they use "Auxiliary scene", which seems quite a bit more unwieldy to me. Mikey and Annie are the same, but for whatever reason only the US version has illustrations of all six Goonies. 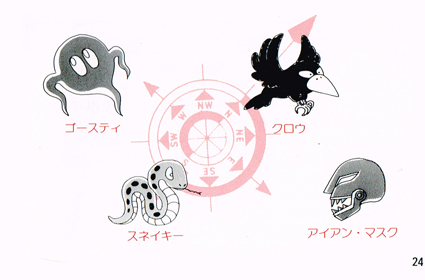 The additional four not present in the Japanese manual seem to have been drawn by the same person, which makes me wonder why they weren't used for it. Another thing to note is that "Cousin Pip Squeak Fratelli" is simply called "Little Gang" in Japanese, and not referred to as a Fratelli at all. The wording for the description for the boomerang in English makes it sound like you can find them in multiple places, but there's actually only one in the game. 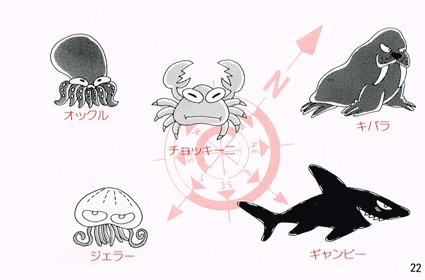 Also "Underwater Gun" isn't exactly wrong, but "Spear Gun" or "Harpoon Gun" would definitely sound more natural. Generally the English descriptions are more detailed and have a bit of flair to them. The Japanese doesn't mention anything about being a "Super Goonie". The word used in Japanese is indeed "transceiver", but something like "walkie talkie" or just "radio" would seem to make more sense. I said we'd get to this one! The Japanese word used (受信機) basically means "(radio signal) receiver", so I have no idea where the idea of it being "magic" came from. Perhaps they thought "receiver" would sound too similar to "transceiver", but in that case I feel that something like "Goonie Radar" would sound a lot better. The Japanese manual doesn't say specifically how many more you can hold by getting one. Also, like "transceiver", "key holder" is simply the English word they used in the Japanese version, but "key ring" is the more common term in English. Wait, what?! 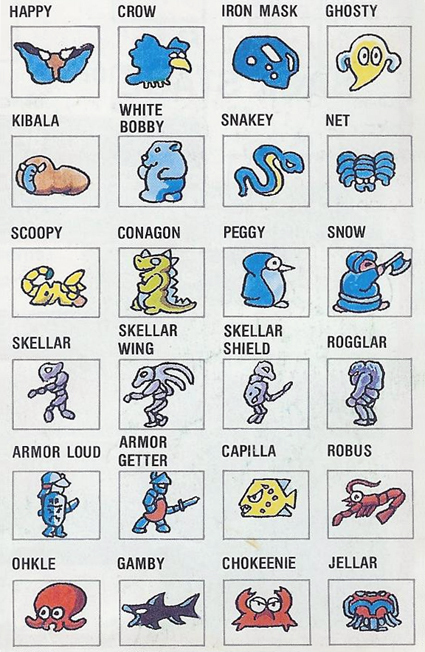 The enemies in the game have NAMES? There's nothing about this in the English manual or in-game! I honestly think hardly anyone with the American version knew they have names at all. Well, let's go ahead and give them some English versions! I have no idea what "White Bobby" is supposed to mean, but that's what he's called. After I wrote all that up there, I found some information about the game I'd never seen before! Back in the early days of the NES, some systems came packed with "The Official Nintendo Player's Guide", with walkthroughs for over 90 games - including The Goonies 2. 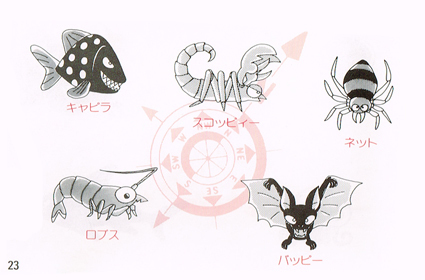 And included with the walkthrough was the list of enemy names! These match up fairly well with what I came up with, though 「キバラ」 is left as Japanese, and things like 「キャピラ」 and 「スコッピィー」 are just romanized katakana. 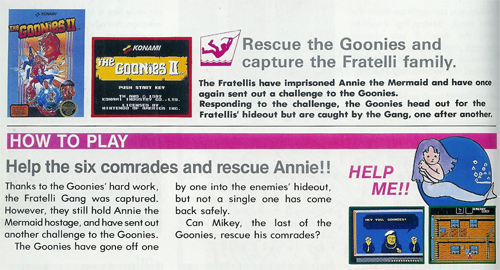 As you can see, this version of the story does mention the challenge from the Fratellis as well as the Goonies going to the hideout one by one and getting captured. Aha! Like I thought, there's no silly "magic locator device" here, it's simply called the "receiver". The "waterproof coat" from the game also has a different name here - "rainproof jacket". The Japanese word used, 「カッパ」, basically just means "raincoat", but "waterproof jacket" is more indicative of what the item does, so it's a pretty good name too. Amazingly, they actually reference the gag in the Japanese version here, even though it was removed from the English game! From reading this, it's clear that the people writing the walkthrough were working off of the Japanese version of the game. The minute differences you can see between the Japanese game, English game, and now this walkthrough, are some of what I find the most interesting about localization. Lastly, let's take a look at the packaging for the game. For The Goonies 2, the box art is mostly the same, but I did see one cool difference. Do you see it too? The skull that forms the dot on the "i" in the English logo got carried over as an accent mark for the 「ズ」 in the Japanese logo! Attention to detail on little things like that is always great. From All Japan Records' Yama, here's a remix of the theme song from The Goonies, "The Goonies 'R' Good Enough" - which also got a chiptune version in The Goonies 2! There definitely need to be more remixes from The Goonies 2 soundrack - someone get on that! Apparently Konami had a monthly magazine back in the late 80s, and one of the issues had a special Goonies 2 feature with official information about the game! So far I haven't been able to find a copy, but I gotta get my hands on this, so if anyone has any leads, hit me up! Next time I'll be delving into some other game's localization, so look forward to it!